Smalls Jazz Club was created in 1994 by the enigmatic Mitchell Borden. Borden, a former Navy submariner, registered nurse, philosopher & jazz violinist, founded the club with an initiative to create an environment that was conducive to Jazz Music and its culture. Borden, who booked and managed the club, approached business from a stance of generosity rather than profit. Howard Alden, J.D. Allen, William Ash, Ehud Asherie, Omer Avital, David Berkman, Peter Bernstein, Brian Blade, Seamus Blake, Dwayne Burno, Chris Byars, Shard Cassity, Dwayne Clemons, Jay Collins, Marion Cowings, Jon Davis, Sasha Dobson, Duane Eubanks, Brian Floody, Joel Frahm, Ray Gallon, Paul Gill, Larry Goldings, Ned Goold, Jimmy Greene, Larry Ham, Tardo Hammer, Roy Hargrove, Ari Hoenig, Sherman Irby, Norah Jones, Ryan Kisor, Guillermo Klein, Myrna Lake, Carolyn Leonhart, Jason Linder, Joe Magnarelli, Jeremy Manasia, Joe Martin, Donny McCauslin, Brad Mehldau, Neal Miner, Tyler Mitchell, Jane Monheit, Mike Mullen, Zaid Nasser, Charles Owens, Jeremy Pelt, Sasha Perry, Jean Michel Pilc, Chris Potter, Josh Redman, Jon Roche, Ari Roland, Kurt Rosenwinkel, Grant Stewart, Phil Stewart, Joe Strasser, Greg Tardy Mark Turner, Diego Urcola, Richie Vitale, Myron Walden, Scott Wendholt, Spike Wilner, Ben Wolfe, Sam Yahel, Peter Zak and many others. After the events of 9/11/2001 transformed the economic landscape of New York City, Smalls Jazz Club went bankrupt in 2002. Borden then focused his energies on creating FatCat, a popular spot for college age people. Smalls was taken over by a Brazilian bar owner who renamed the place “The Rio Bar”, which became a dismal failure. Frustrated by his failure, he approached Borden and asked him to re-open Smalls with him as owner and Mitch as manager. Mitch agreed and Smalls was reborn in 2004. By 2007 the Brazilian owner realized that the jazz business was a poor one, decided to put the club up for sale. It was in February of 2007 that jazz pianist Spike Wilner and his friend Lee Kostrinsky became partners with Borden and sought to restore the club to its original vibrant spirit. Kostrinsky stayed on until 2011 when he decided to sell his share of the club. Mitch Borden and Spike Wilner continue to run the club to this day. Since 2007, Smalls Jazz Club has emerged as the top club of its kind – a throwback to another era when jazz clubs were both proving ground for top artists but also social scenes for the jazz community. Smalls Jazz Club now has a international reputation and draws fans from all over the world as a destination spot for great jazz. In September of 2014, Wilner and Borden opened their second club on the opposite corner of West 10th street and 7th ave – Mezzrow. Mezzrow draws its inspiration for the great piano rooms of the New York past, particularly Bradley’s. Please see www.mezzrow.com for further info and reservation for Mezzrow. 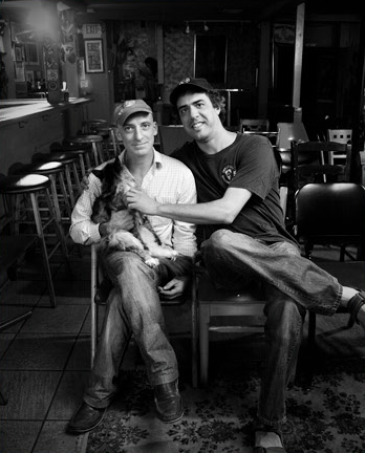 In September of 2007 Spike Wilner made the commitment to document every show at Smalls so as to preserve what he felt was work of historic consequence. Smalls Jazz Club was one of the very first clubs to stream shows live from their website. Smalls has developed a true international following thanks to the transmission of the shows nightly at no cost. In 2011 Wilner began archiving video as well as audio. The SmallsLIVE Audio/Video Archive is the collection of all the work done at Smalls and involves more than 9000 recordings and more than 900 artists. The SmallsLIVE revenue share project seeks to be the most-fair revenue sharing model available by making the artist a 50/50 partner. SmallsLIVE also has a conventional record catalog of HD recordings, mixed and master and with beautiful art.